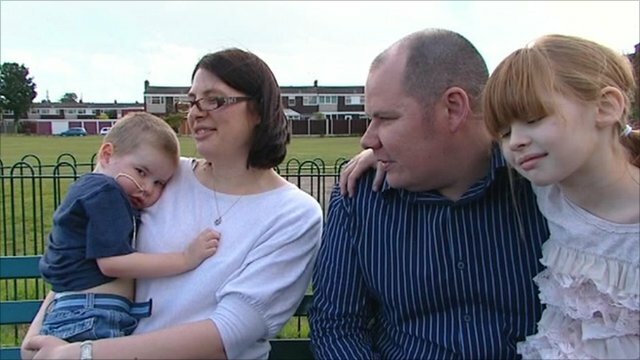 A four-year-old boy is the shortest person in the UK to have a successful lung transplant, doctors said. Surgeons at Great Ormond Street Hospital in London carried out the transplant involving Mason Lewis, measuring 93cm (3ft) tall. 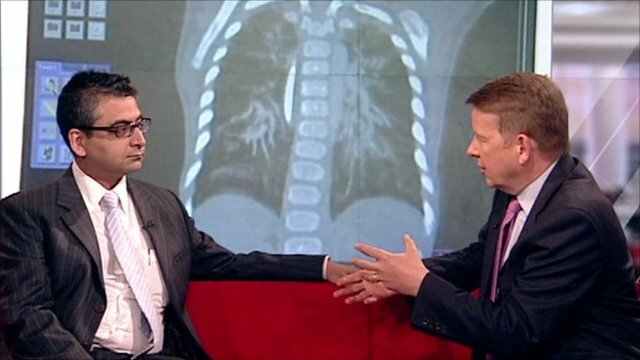 He received lungs which were 11cm (4.3in) long during an operation lasting about eight hours. Mason, of Atherstone, Warwickshire, has suffered from pulmonary hypertension (PH) since birth. Great Ormond Street Hospital said he was also the youngest person with PH in the UK to successfully undergo a lung transplant. Mason's consultant Dr Helen Spencer said: "He has been incredibly lucky, not only to have a transplant but to receive one so quickly. "At Great Ormond Street Hospital, candidates considered for lung transplant would normally be over the age of three and more than 100cm in height. Dr Helen Spencer said he had been "incredibly lucky"
"We hope the fact we have been able to do this in someone as small as Mason will offer hope for patients like him in the future." 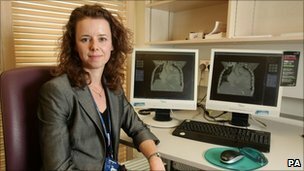 She added he had "done well" since the operation and that echocardiograms had shown the health of his heart was improving after the pressure on it was reduced as a result of the transplant. His mother, Rebecca Prentice, and father, Steven Lewis, said the decision to allow their son to have the operation was "easy". Miss Prentice 33, said her son now had much more energy. "He's always been a happy child," she said. "His body can keep up with him now." Miss Prentice said she was indebted to the clinical team and "eternally grateful to the donor family". She added: "We cannot imagine what they went through. They lost a child and have displayed courage and selflessness." PH is a rare blood vessel disorder of the lung. People with PH have pulmonary arteries with thicker, less elastic walls. As a result, the heart struggles to pump blood to the lungs and has to work harder than normal. The person is often breathless as a result. The lung transplant also involves replacing the affected arteries - but the donated organs are only expected to last for seven years. Prof Martin Elliott, a professor of cardiothoracic surgery who carried out the transplant, said: "The operation is the same as for larger people, but obviously one needs greater precision and delicacy." He said surgeons used magnifying lenses during the operation and smaller stitches which eventually dissolve, reducing the risk of creating scar tissue which could inhibit future growth. Mason had waited a matter of weeks after he was put on the transplant list in January.